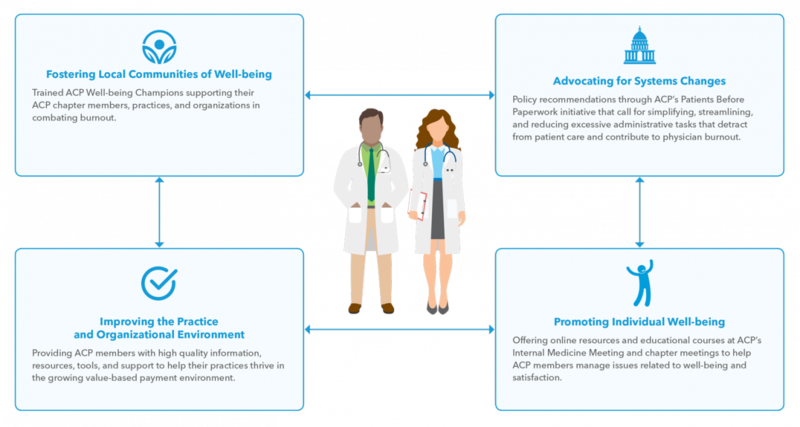 Earlier this year, the American College of Physicians (ACP) launched its "Physician Well-being and Professional Satisfaction" initiative. The goal of this program is to create a "culture of wellness, improving practice efficiencies, enhancing individual physician well-being, and reducing administrative burdens." This program will address many dimensions that impact physician wellness. 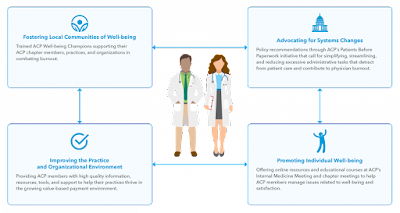 The ACP will also continue to advocate for system changes, identify practical ways to improve the clinical practice environment, and encourage physicians to maintain their own personal health and wellness.